We will be replacing our usual single-origin selection every Sunday with a selection from our Silver Series at Nervous Dog, Stow and Nervous Dog, Beachwood. FTO Nicaragua - Balanced and full bodied, but with a pronounced lower-toned acidity, more reminiscent of apricot than lemon. A clean, long finish. This coffee is certified fairtrade and organic by OCIA. Java Estate - Lighter body, very smooth with little acidity and hints of spice. Herb-like qualities with a semi-dry finish. Brazil DaTerra Bourbon - Peanutty with spicy and earthy notes with a fairly heavy body. Low acidity and very complex, with a dry, white wine-like finish. FTO SWP Decaf Peru - A very roasty coffee, the roast characters dominate the flavor, very bold with hints of dark berries. Smooth and medium bodied with a clean finish. Certified Fairtrade and Organic by OCIA and naturally decaffeinated using the Swiss Water Process. Guatemala Antigua - Its delicate, fruity flavor is laced with a spiced smokiness. Antigua has a sharp acidity that dominates, but is balanced with a soft, mild flavor and a light but sweet body. Fairly earthy and clean with a medium finish. Coffee comes from three major growing regions around the world. The climate in these regions, as well as soil chemistry, agricultural methods, and processing techniques, have an enormous impact on the flavor of the coffee. 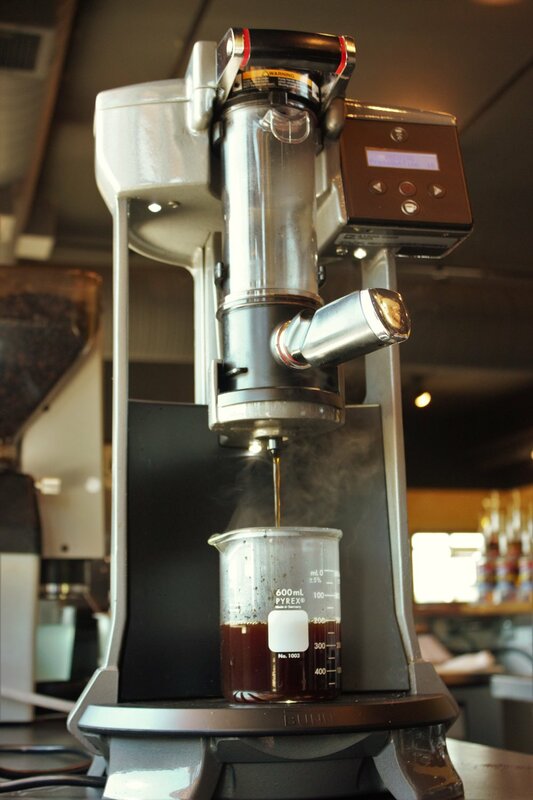 Our coffee is craft-roasted to bring out the individual flavors, aromas and textures of each coffee. The owner and product manager had a cupping with our local coffee distributor, Caruso's Coffee, and found the Silver Series beans to be the best of the best. We offer Silver Series beans for retail sale and brewed the Trifecta any day of the week. Let us know what you think!